Attorney Profile | McCall Law Offices, P.C. A native of Peoria, Illinois, Christopher S. McCall is the lead attorney at McCall Law Offices, P.C. 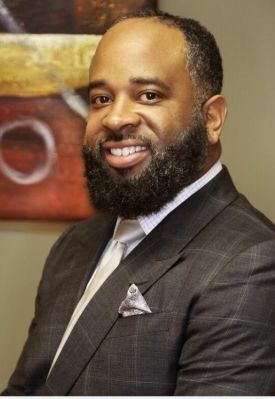 After graduating from the University of Illinois at Urbana-Champaign, Mr. McCall moved on to the school's College of Law and obtained his Juris Doctorate degree. From there, he started his career in law while serving as an associate with Kavanagh, Scully, Sudow, White & Frederick, P.C. Following his time there, Mr. McCall began working for Peoria County State Attorney Kevin Lyons as an Assistant State Attorney, where he handled civil suits, traffic violations, misdemeanors, and felonies. After gaining valuable experience, he moved on to form his private practice, McCall Law Offices, P.C. Attorney McCall has successfully handled numerous cases in civil court, such as ones involving the Department of Children and Family Services. He is committed to achieving positive outcomes for his clients in all cases, treating everyone who walks through his door as a human, rather than a case number. McCall Law Offices, P.C. proudly offers representation for a wide range of cases, including criminal offenses, personal injury claims, family law matters, and worker's compensation disputes. Get in touch with McCall Law Offices, P.C. to schedule a free consultation!